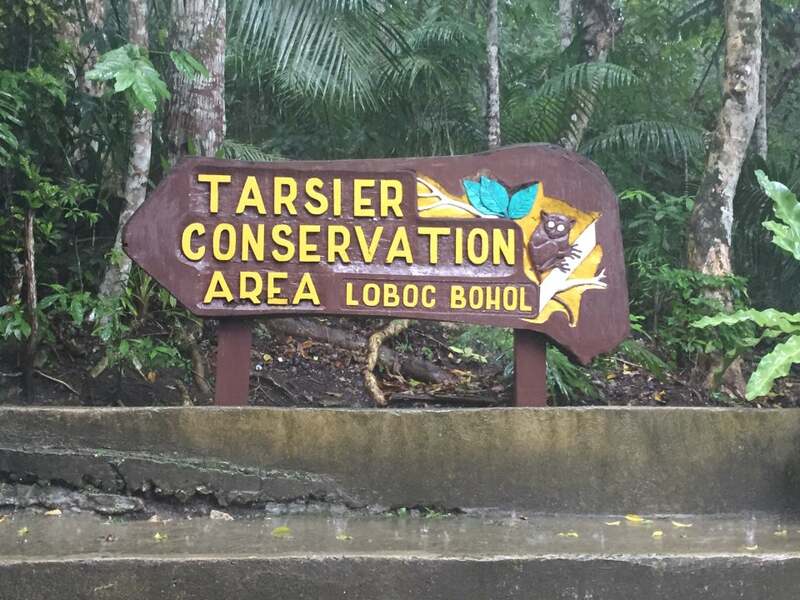 Tarsier Conservation Area in Loboc is not an official tarsier sanctuary, but is an unethical for-profit tarsier viewing area that subjects tarsiers to conditions harmful to their health. 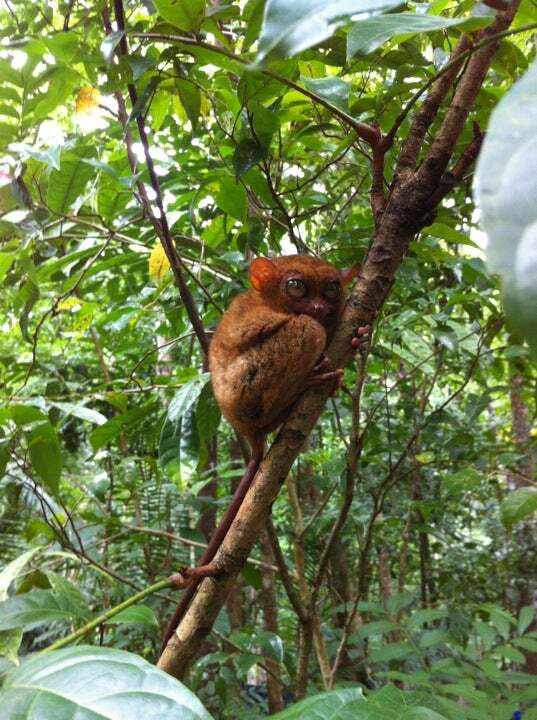 Why Tarsier Conservation Area is special ? 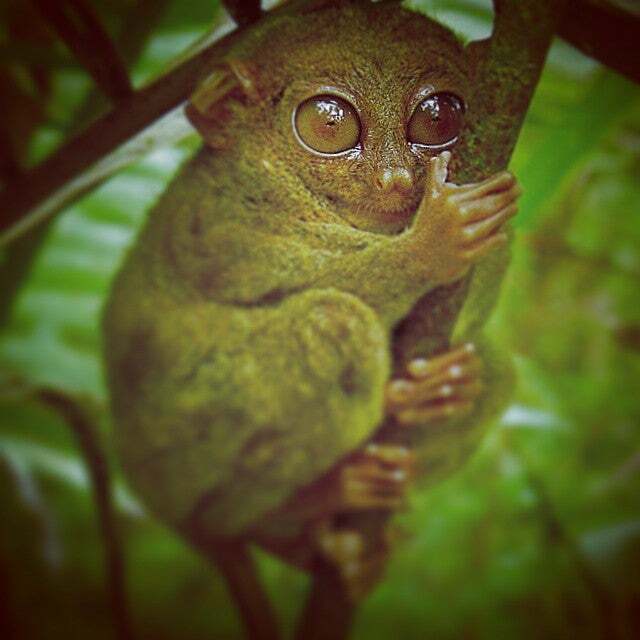 The Tarsier Conservation Area is an initial six-hectare woodland area located in barangay Upper Bonbon, Loboc town. A stone's throw away from the Loboc part of the man-made forest, Tarsier Conservation Area is the new home of the captive tarsiers previously displayed for tourists along the Loboc River for decades. The tarsier (Tarsius syrichta fraterculus) is Bohol tourism's mascot. It is known locally by many names - mamag, mago, magau, maomag, malmag and magatilok-iok. For decades, tarsiers in the Loboc riverbank were poked with sticks, blinded by flash cameras, endured day long petting and force feeding from tourists. Tarsier display owners were widely criticised for allowing this to happen. 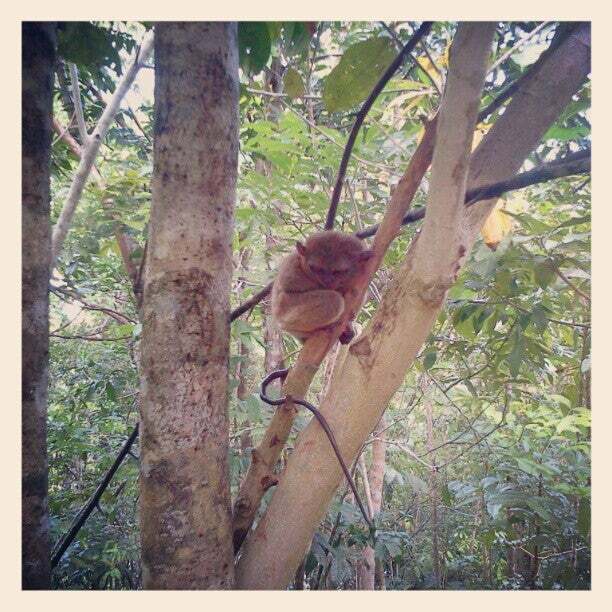 What to explore at Tarsier Conservation Area? An initial three-hectare area is now ready for tarsier viewing with pebbled pathways for visitors laid out around the wooded sanctuary while a thatched-roofed waiting area showcasing tarsier souvenirs has been constructed to accommodate the expected influx of visitors. 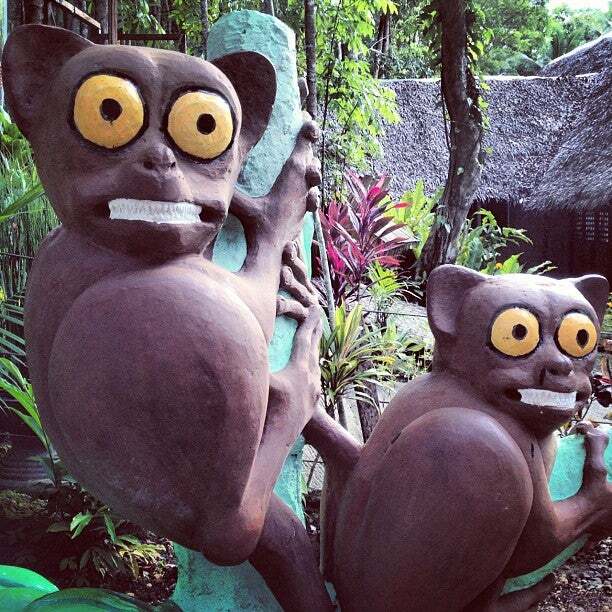 Tourists can still have the opportunity to see these cute primates but the centralized effort now makes sure that stricter rules are implemented for the benefit of the tarsiers. Visitors may amble on a pebbled pathway meandering around the three-hectare mahogany forest and see the tarsiers in their natural habitat. From big to small. From reptile to primate. From monstrous to the cutest. Bohol is home to not just the world’s biggest snake in captivity but also one of the world’s smallest primates. How to get to Tarsier Conservation Area? The most common way to get to Loboc is by local bus. The local bus station, however, is about 2km out of the city, so you have to take a tricycle there (if you are in Tagbilaran), which cost about fifty pesos. Loboc is only 24km from Tagbilaran, so it’s a short cheap bus ride. Don't touch the Tarsier or they commit a suicide after. Umbrellas are also available for the visitors during inclement weather while trained guides will usher tourists around the hilly terrain. There are snacks and drinks available on the premises. You must set your camera properly because flash is not allowed and the lighting conditions aren't ideal. There are guides who will help to point the tarsiers to you and offer information. Don't believe everything you hear. You have to do your own research on these animals to have accurate info on them. It's not good for elderly because the slope is a bit steep. It's better not forget to buy tarsier souvenir items for friends and family members. A 60-vehicle parking area with modern and clean rest rooms are all part of the 25-hectare Tarsier Conservation Area. It is near the chocolate hills so it's not that long to travel. When you get there, you will see various kinds of "pasalubong" and maybe a little walk to the conservation of tarsiers. I was quite amazed on how small they are and find it cute to hear the tourist guide on how they mate. Sadly, they are now extinct but the one's who take care of them are trying their best to enlarge the specie. They are really solitary creatures. Their eyes open during the day but vision is blurry. They thrive on insects like mosquitoes etc.